The Greenhouse People is a family owned and run company, providing an extensive range of greenhouse products. 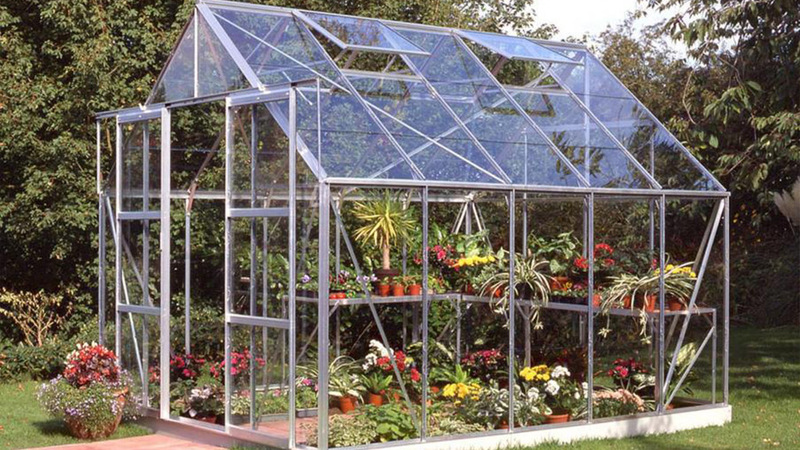 With over 65 years of experience, The Greenhouse People also offer impartial advice and information to customers on purchasing, assembling and sustaining a greenhouse. The company offer reputable brand products and ensure that they have been tested and comply with industry standards, guaranteeing that their customers receive the highest quality products and services at the best price. As the greenhouse market is niche, The Greenhouse People have a renowned reputation with 40% of their sales coming from customer recommendations, they offer a variety of options on products and services to ensure that customers are satisfied. The company’s customer service is one of its top selling competitive points, customers have access to advice 24 hours a day, seven days a week and The Greenhouse People distribute products across the UK, Ireland and France. The Greenhouse People are one of the leading greenhouse manufacturers in the UK, with a reputation for providing high quality products and with a high percentage of sales coming from customer recommendations, it was vital that the business operates effectively and efficiently. Each of the departments’ processes and systems were not communicating with each other meaning that business and customer information was fractured. After trialling various Customer Relationship Management systems, the IT team at The Greenhouse People, found it difficult to implement a structure that embraced and successfully engaged all areas of the business. The Greenhouse People identified that they required a solution which connected all areas of the business. The system needed to be an easy transition from the current systems which were being used and a tool that would be simple for staff to use. They requested a system which was bespoke and which they could have ownership of. The specific key points that needed attention included simplifying staff information and data, a streamlined manufacturing resource information system, improving distribution and stock checking competence, creating an efficient and personalised sales and customer service system and a tool which would present business insights, boost performance and continue growth. 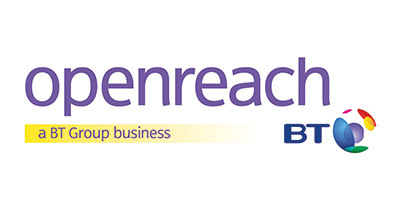 The Greenhouse People’s shared broadband system meant that they often experienced issues with connectivity, especially in their call centre meaning a loss of business, so it was also necessary to look into ways to improve this. The Software Developers Team at Fifteen Group supported the project and set to design and produce a system to transform The Greenhouse People and take the business to the next level. The MINT system was then created, the Enterprise Resource Planning (ERP) platform integrated The Greenhouse People’s current Sage 200 Accounting and Sage 200 Manufacturing systems, the foundations also meant the system could grow with the business whilst including all of the required functions. To work efficiently, MINT required further support from Fifteen Group including development to The Greenhouse People’s e-commerce website. New broadband, leased lines and Cloud backup and restoration were also needed and making this work meant moving around teams, offices, warehouses and factories. It was important that the system fitted into The Greenhouse People’s way of working and throughout the design and build stage of MINT, Fifteen Group spent a lot of time interviewing the team at The Greenhouse People, to understand the different roles and tasks they undergo, in order to recognise what the system would require. MINT records physical processes across all departments, for example we implemented more efficient tracking solutions by using barcodes on all items produced by The Greenhouse People. This allowed staff to track how long it took to make the part, how and when the part was made and who made it, helping to shape the manufacturing process. To ensure the system ran successfully Fifteen Group connected the MINT app to a range of technology products including iPads, iPod touches, Mac Minis and new telephone equipment. Other specialist devices were also sourced from a US based firm. The MINT system’s structure meant that user actions in one part of the system automatically activate the other processes in that department. For example the moment a Sales Agent places an order, MINT calculates the parts which are required to build that particular greenhouse and the parts are then reserved, with the warehouse inventories being updated immediately. Stock levels across all of the sales and marketing tools are also automatically updated. Warehouse Operatives will then receive an alert on their iPods, instructing them to select certain stock, the most economical delivery route will then be calculated and a delivery label will be generated, automatically printed and ready to be affixed to the order. MINT also considers the size and dimensions of the parcel for optimum delivery. By using the apps, everyone working in the warehouses can easily contribute to stock checks and they also mean that The Greenhouse People know their exact stock levels 365 days of the year. When considering the sales process, integrating Google maps means delivery information is generated quickly, ‘Boolean’ searches can be ran to pull up vital customer information and order process text messages can be activated to let customers know the status of their order and also allow them to make any necessary delivery changes. By using caller ID, Sales Agents can greet customers on the telephone by their name, the MINT system shows who is on the phone and who they are on the phone too, making transferring the calls much easier. Calls are also recorded, meaning that staff can listen back to calls at any time. MINT was first launched as a trial system and with the involvement from team members across the various departments, it meant The Greenhouse People staff weren’t overwhelmed with new processes and required minimum training on how to utilise the system. It also allowed staff to provide feedback on MINT regularly and constructively. Even though the IT team at The Greenhouse People had limited resources, their involvement in the project meant that they were able to explain MINT’s technical features and comprehensively train the rest of the staff. Throughout the launch and trial of MINT, Fifteen Group provided clear and simple user guides and the hand held devices which were being used also provided on screen tutorials. Fifteen Group continue to work closely with The Greenhouse People’s IT team every day, this is during system audits and IT strategies. If any issues occur the Fifteen Developers team can provide remote and on-site support. MINT’s foundation was developed in a way which involves all of the business’s departments and processes, allowing the system to be flexible and grow with the business. Making information easily accessible, connecting all areas of the team and integrating the entire business. MINT’s dashboards deliver clear and powerful insights into business performance and are used by The Greenhouse People’s leadership team to create reports and extract information to support business development. Being able to access this knowledge has allowed The Greenhouse People to outgrow their competitors by shaping their operational efficiency and highlighting where they need to adapt, survive and grow year on year. The system’s ordering feature has simplified and shaped sales, manufacturing and distribution processes, whilst supporting the team to continue to deliver the excellent customer service that The Greenhouse People are known for. By automatically updating stock levels, MINT has guaranteed that The Greenhouse People don’t oversell products. Using the apps means that managers can ensure maximum efficiency and no delays to delivery times. By gathering and displaying such unique and accurate information the team have been able to improve the efficiency and quality at every stage of a customer’s order. Orders which used to take around 20 minutes and involved lots of customer research, can now take 60 seconds due to MINT’s streamlined procedures, all of the information is in one place and accessible at the click of a button. This information also means that Sale Agents know who their customer is and can make their experience more personalised. Inexperienced staff can pick up processes and procedures through the MINT system quickly, as it includes everything they need to know in one place. The seamless integration of MINT into The Greenhouse People’s way of working brought every aspect of the business together improving and enhancing an already strong company culture. The staff team are such big fans of MINT that they continue to come up with new ideas to add to the system. Upgrading The Greenhouse People’s technology has supported MINT and streamlined any issues that may occur, the new Wi-Fi solution meant that there is no loss of connection and no downtime, so MINT updates are still processed. The new Cloud system means that MINT backups and restores can be completed very quickly, in under 15 minutes. “We have invested a lot into the MINT system and I can confidently say it has absolutely been worth it. The system has transformed The Greenhouse People, without making too many drastic changes. “Our processes now run quickly and informatively, the staff teams’ time can now be utilised efficiently, meaning our profitability, scalability and capacity have soared. MINT has supported improving our overall customer service experience continuing to increase the number of satisfied customers at The Greenhouse People.